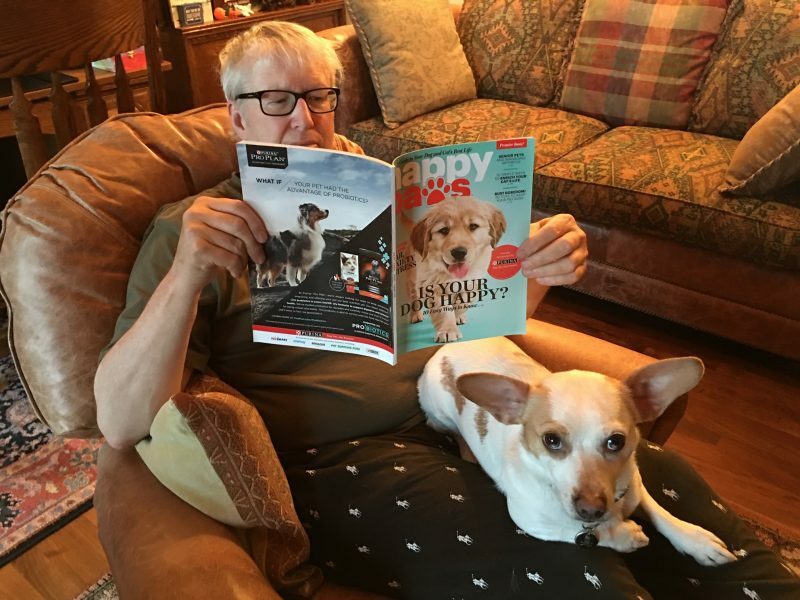 It’s hard to believe this day is here, but it is: Happy Paws magazine from Fear Free Happy Homes is on newsstands across the country! I championed this magazine for the same reason I founded Fear Free, because I don’t believe animals should have to live with fear, anxiety, and stress. Thanks to advancements in the field of animal behavior and the skill and dedication of veterinary behaviorists, we know how to treat and prevent separation anxiety, boredom, stress, noise phobias, destructiveness, and more. 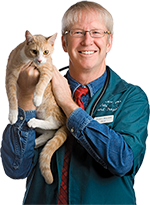 What’s more, we understand the importance of ensuring our pets have activity, mental stimulation, and joy in their daily lives. Putting all that informatino together in a way that pet owners can find and use, as well as focusing on those ideas that are supported by science, is a big job. But we couldn’t think of anything more worth the effort than improving the lives of pets and their people. That’s why we partnered with Meredith Publications — the folks who bring you PEOPLE, Real Simple, Family Circle, and many other magazines — to get this out into supermarkets, bookstores, and everywhere magazines are sold. From an exploration of how dogs think to how to deepen the bond with your pet to the topic of toys, it’s all powered by the world’s top experts in behavior, training, cognition, and enrichment. What’s more, every one of us is a pet lover just like you. Our dogs and cats sleep on our beds. We sneak them treats. And (at least speaking for myself) we let them give us slobbery kisses. Please pick up a copy on your newsstand today, and join us in celebrating, protecting, and nurturing that special connection we call the human-animal bond while bringing comfort and joy to our pets and to ourselves! Not a fan of buying “off the rack”? No problem. You can also order Happy Paws online, and have it delivered right to your door!